Nuestro director L.A. Espinal tienes mas de 27 anos de experiencia en el estado de la Florida y Republica Dominicana. Somos miembros de la Union Internacional De Detectives Privados. Nuestro grupo de detectives son profesionales de alto entrenamiento, y trabajan con usted para asegurar que recibe resultos a buen tiempo. Nuestro Investigadores Privados siempre estan disponible para testimonio juridico, si es necesario. Nuestros detectives privados estan disponible para segurar lineas de telefono, residencias, oficinas, salones de reunion o otros edificios. Camaras ocultas y inalambricas pueden estar instaladas para documentar actividades cuando necesario. Nuestros investigadores privados utilizan las mas sofisticadas y technologicamente advanzadas camaras digitales que les dan un alto anivel, calidad y versatilidad. Cajas de GPS para vehiculos se utilisan cuando permitido por la ley. Nuestros Detectives tienen acceso a busquedas en computador mas avansadas. 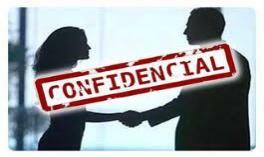 Nuestros Detectives Privados y Investigdores Privados estan listos para cualquier asunto de investigacion..
Infidelidad es la primera razon porque los investigadores privados estamos empleados. Ud tiene ese sentimiento que su pareja le estad haciendo algun dano. Nuestro expertos vigilan y documentan las actividades de su querido. Nuestros investigadores privados le obtienen video y fotos de su querido si es en Miami, Florida, Republica Dominicana, los puedemos adjudar. "Cuando necesitas saber una vez es todo lo que necesitas"
Formulario de contacto hace click aqui!!! BAORUCO ~ Located in the western part of the country, this province is land locked and situated close to the border with Haiti. BARAHONA ~ Located in the southwest portion of the country, Barahona borders the Caribbean Sea and has been an area that the government has slated for future tourist development. An airport capable of handling International Jumbo jets sits idle in Barahona, awaiting new tourist traffic. Arroyo Hondo, Bella Vista, Ciudad Colonial or Zona Colonial, Ciudad Universitaria, El Cacique, Gazcue, Herrera, Honduras del Norte, Julieta Morales, La Fe, La Julia, Los Millones, Los Prados, Los Restauradores, Luperon, Mirador Norte, Naco, Paraiso, Piantini, Quisqueya. DUARTE ~ A landlocked province in the northeast. A section of Duarte borders the Samana province. ELIAS PINA ~ Located almost equidistant from both coastlines, bordering Haiti. EL SEIBO ~ Located in the northeast corner of the country, southeast from Samana Peinsula. ESPAILLAT ~ Located on the northern coastline, bordering the Puerto Plata district. HATO MAYOR ~ Located on the eastern portion of the country, Hato Mayor shares the Bay of Samana with it's neighbor directly due north, Samana. INDEPENDENCIA ~ Located northwest and bordering Barahona, Independencia is the home of the largest inland lake of the country ~ Lago Enriquillo & The Nacional Park Isla Cabritos. A major portion of Independencia also border the southern section of Haiti. LA ALTAGRACIA ~ Located on the south-eastern portion of the country, La Altagracia is home to two national parks, the famous Punta Cana resort area, and Isla Saona. LA ROMANA ~ Bordering La Altagracia and the Caribbean Sea, La Romana is home to the famous Casa De Campo tourist resort ~ which includes the popular tourist attraction Altos de Chavon. LA VEGA ~ Located in just about the center of the country, La Vega is located in what can be called "Mountain Country". The Constanza section of La Vega is known for cooler temperatures and production of cold weather fruits, such as apples. Along with the San Juan district, La Vega offers some of the most spectacular mountain scenery in the country. MARIA TRINIDAD SANCHEZ ~ Located on the northern coast, east of Puerto Plata and bordering Samana ~ this province hosts a national park and the sea side resort town of Cabrera. MONSENOR NOUEL ~ Located in truly the center of the country, Monsenor Nouel borders La Vega and also features mountainous terrain and cooler termperatures. MONTE CRISTI ~ Located in the far northwest corner, bordering Puerto Plata and the Atlantic Ocean, Monte Cristi will remind travelers more of Aruba than anyplace else. Drier climate and cactus are prominent features of this part of the country. MONTE PLATA ~ The Monte Plata province is directly due north of Santo Domingo and the National District. While the province is land locked, it does boast two small mountain ranges, and the beautiful Los Haitises National Park. Major Towns: Bayaguana, Don Juan, Esperalvillo, Sabana Grande de Boya and Yamasa. PEDERNALES ~ Located in the southern most point of the country, Pedernales is home to the Jaragua National Park, Isla Beata and Isla Alto Velo. Playa Larga is one of the largest single strech of beaches that has been designated for tourist development by the government. PERAVIA ~ Stretching from La Vega down to the Caribbean coastline, Peravia is home to two small mountain ranges in the north and the beautiful beaches of Las Salinas. PUERTO PLATA ~ Tourists are well versed with this Atlantic Ocean coast province, as it is home to numerous resorts, and the beach front towns of Puerto Plata and Sosua. 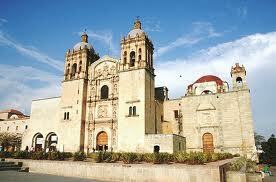 SALCEDO ~ The tiny province of Salcedo is neatly nestled between Espaillat, La Vega, and Duarte. Although smaller than it's other north coast neighbors, Salcedo is an important link as an intersection point for the highway system. SANCHEZ RAMIREZ ~ Landlocked between the provinces of La Vega, Duarte, Monte Plata and Monsenor Nouel ~ This beautiful province boasts two very large fresh water lakes, with fresh water fishing as a major attraction. SAN CRISTOBAL ~ Directly due west of Santo Domingo, this province runs parallel to Peravia - and stretches from the Bonao area on down to the Caribbean coast. Autopista Duarte or Route 1, connecting Santo Domingo with Santiago, runs through the northern portion of San Cristobal. SAN JUAN ~ One of the larger provinces, this is true mountain country. San Juan province is home to Pico Duarte, the highest mountain range in the Caribbean. Located in the western portion of the country, just south of Santiago, it is also home to Jose Del Carmen Ramirez National Park. SAN PEDRO DE MARCORIS ~ This Caribbean coastline province is nestled between the National District and La Romana. Although historically known as an area with a major fishing industry, Baseball legend Sammy Sosa has also made this a well known province. The San Pedro de Marcoris province is also home to the well known Juan Dolio resort area. SANTIAGO ~ This large province directly south of Puerto Plata is home to the Dominican Republic's tobacco and cigar industry. 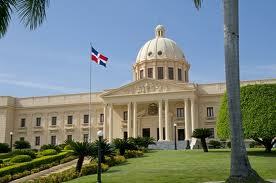 In addition, the province capital Santiago de los Caballeros is often called the Dominican Republic's second city. SANTIAGO RODRIGUEZ ~ This province is located directly due west of Santigo and south of Monte Cristi. VALVERDE ~ Nestled between Santiago, Puerto Plata, Monte Cristi and Santiago Rodriguez, this tiny province is only slightly larger than Salcedo. Like Salecedo, it connects it's much larger neighbors together. Investigador Privado, Detective Privado, Areas de Operaccion. Tambien hacemos trabajos de defensa de seguros para oficinas de abogado y el gobierno. Costodia de menores es otro aspecto de nuestros servicios. Nuestros detectives privados estan disponible llamen ahora, 1-888-277-4779, nuestros detectives privados son autorizado y asegurado.